As a daughter of the King. She has the kind of faith that Abraham had- that kind that just hears God say, “Go this way and do this,” and then- the next moment- just does it. Turns out, Shelley’s blog and her book were about a venture she’d been walking of the past three decades. The path of living single in a world where “pairing off” is upheld as the ideal. What song can you listen to on the radio and NOT be encouraged to- or warned about- couple off? Name one book you can read in which romance isn’t a theme? Or a movie… Even our “action films” have some sort of big moment when the two stars finally get together, right? Does it REALLY take another person to make us whole? Sure, we created for relationships. And, yes, we see this scene in the book of Genesis where it wasn’t good that Adam was alone. But, are we deficient without someone? 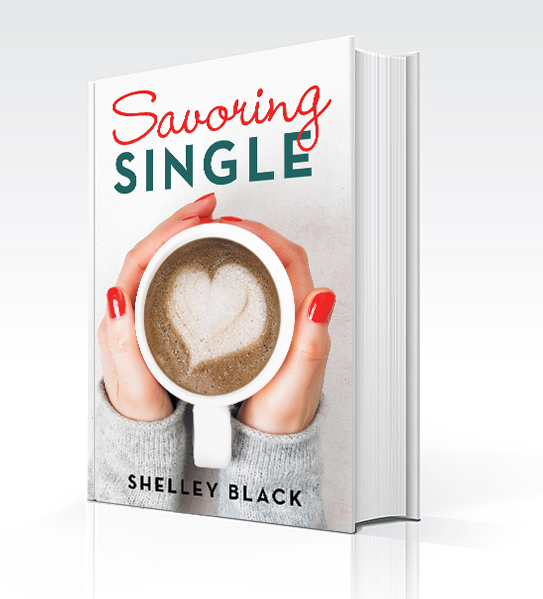 “When we recognize our heart’s cry for a relationship is also a need for God, we will no longer feel lack in our singleness." I take my daughters on a “date night” month- on the first Thursday of the month. It’s a standing commitment we’ve got on the calendar. This January I took them to eat dinner (Applebee’s- they LOVE chain restaurants like Chili’s, Applebee’s, and The Cheesecake Factory), then took them to Starbucks and gave them Shelley’s book. I explained to them that these feelings were natural. That even if they weren’t feeling them now, at some point they might. And that desiring a soul-mate, a companion was part of life. Yeah. Maybe someone will get a front row seat to that- and get the joy of empowering that.